The support we receive from companies and charitable trusts & foundations is incredibly important. We develop partnerships with organisations from industries across the British Isles and beyond, delivering clear business benefits for them and helping us to support soldiers, veterans and their immediate families, in need. Trusts & Foundations provide an essential and reliable source of funding for our key areas of activity, both regional and national. Find out more about how we work with our funding partners. 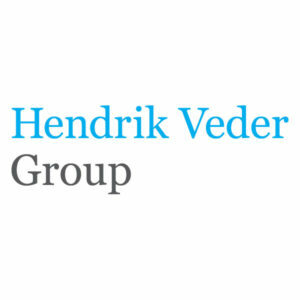 Our corporate relationships are designed to meet the priorities of each partner. We help to develop corporate social purpose objectives, brand awareness, employee engagement, and support for the Armed Forces community. 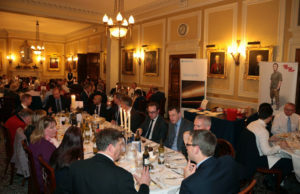 We work with companies such as Barclays Group, BAE Systems and KPMG to successfully demonstrate the difference they are making to the Army Family. Our fundraising and professional development opportunities serve to invest in your employees. 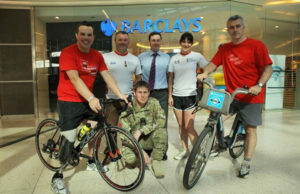 Previous support has ranged from CV and interview skills workshops for soldiers to skydives and team Big Curry lunches. Payroll Giving is a simple, tax-efficient way for your employees to contribute to a cause they care about through their monthly pay cheque. 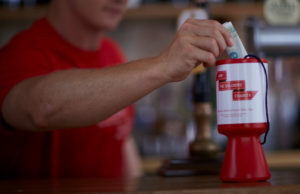 Find out more about signing your company up to Payroll Giving and how you can donate regularly. Named as the number one charity nationally ‘To Deliver on its Promises’ by Third Sector, our brand and channels offer positive PR opportunities for your product and services. 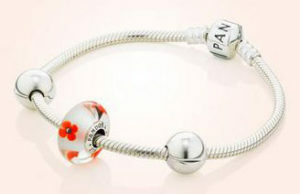 We also work with companies to launch licenced products, such as the unveiling of two signature charms with Pandora. Our national events programme provides a fantastic platform from which to entertain reach target audiences, demonstrate Corporate Social Purpose, and entertain key clients. Find out more about our events, such as the 54 mile Cateran Yomp and The Lord Mayor’s Big Curry lunch. To find out how your organisation can form a mutually beneficial relationship with us, please contact Charlie Strawa, Corporate Account Manager, on 0207 811 3963 or cstrawa@soldierscharity.org.